Our Church realizes Scientology Founder L. Ron Hubbard’s vision that all Churches of Scientology become what he termed Ideal Organizations (Orgs). Ideal Orgs not only provide the ideal facilities to service Scientologists on their ascent to higher states of spiritual freedom, but they are also designed to serve as a home for the entire community and a meeting ground of cooperative effort to uplift citizens of all denominations. We look forward to working with every group and individual dedicated to achieving our shared dream of a drug-free, crime-free and flourishing future for all. 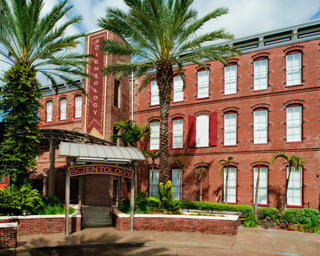 Ybor Square, the new home of the Church of Scientology, stands at the center of Ybor City, Tampa’s most significant historical district. Originally constructed in 1886 as the city’s first cigar factory, the Square comprises a complex of three buildings around a central courtyard. Then as now, it represents the significant story of the growth of this city. In addition to our main Church in Ybor City are two Dianetics and Scientology Life Improvement Centers, which offer the full range of Dianetics and Scientology Introductory Services. 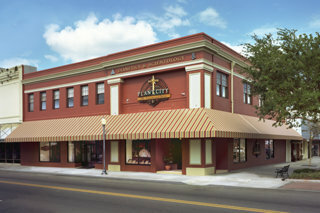 One stands to the west in downtown St. Petersburg, in a historic building on First Avenue, and the other to the east in Plant City, on the main thoroughfare of North Collins Street. 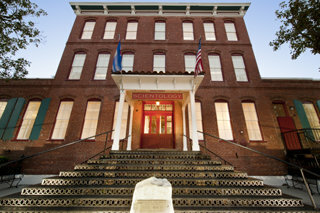 Both centers are open daily and welcome all those wishing an introduction to Scientology. On Sunday, March 13, 2011, thousands of Scientologists gathered for a Grand Opening ceremony to dedicate the Church of Scientology of Tampa in its new home, the landmark Ybor Square. The new Tampa Church was made necessary by a fourfold growth in Tampa’s Scientology congregation over the past decade.